How to tell if you’re owned by a cat. Doing this right now, in fact. 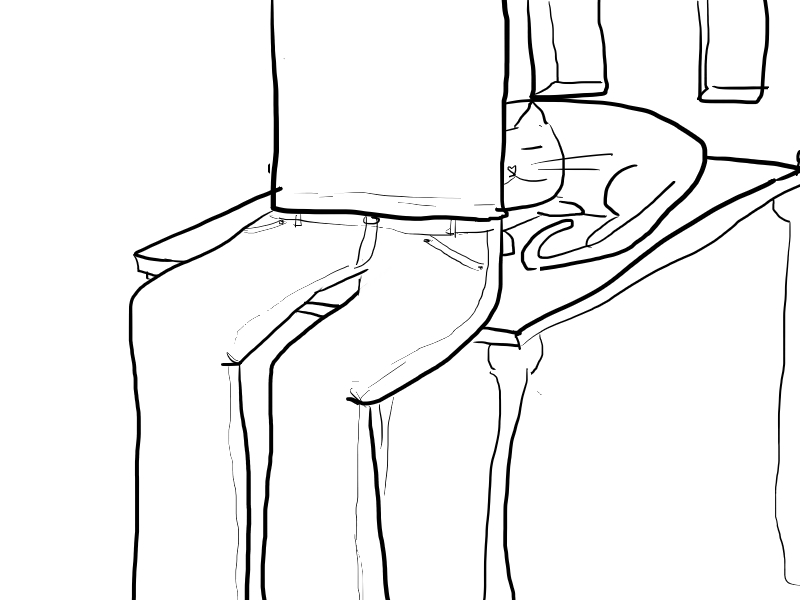 You sit on the edge of a chair to avoid having to move your cozy curled-up sleeping cat. Some friendships are not always good. Hey you, in the tower! Or you try not to move, not matter how uncomfortable you are, because the cat is sleeping on you. My person does this with Scratchy. Me, I’d just chase him away.